http://cinziamazzamakeup.com/?x=levitra-originale-20-mg-durata At Down To Earth you will find a wide selection of high quality cookware from stainless steel and ceramic coated, to the durable and heirloom quality Lodge ™ cast iron line. 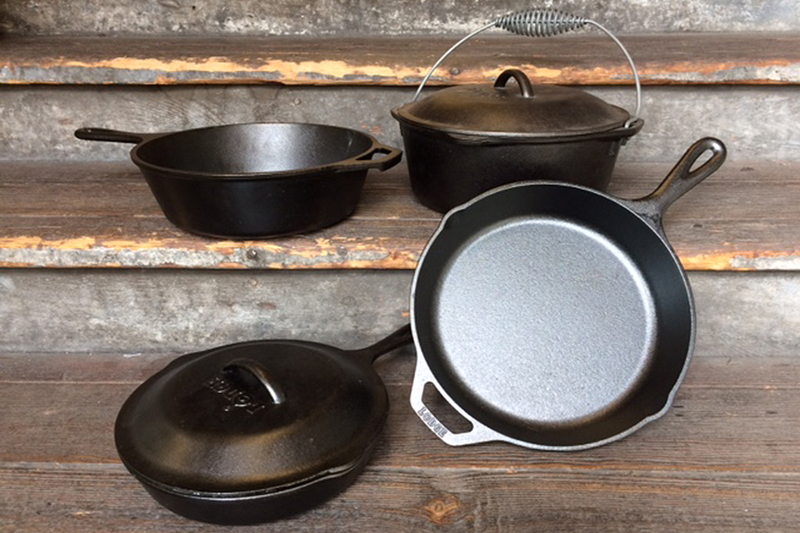 Made in America since 1896, Lodge™ cast iron improves even after a lifetime of use. source site This durable line of cookware is often passed down generation to generation. It is affordable, versatile, and easy-to-use on the stovetop or in the oven. Pre-seasoned Lodge Logic™ uses a proprietary vegetable oil formula and is then baked in ovens at very high temperatures. This gives each piece that prized, non-stick finish previously available only after years of use. go site Stainless steel cookware, another favorite, is perfect for high-temperature stove-top cooking. Lighter and thinner than cast iron, it heats and cools much faster, but can withstand high temperatures so it’s perfect for browning, searing and all purpose cooking. Delicious fresh stir fry or perfect grilled cheese anyone? cialis for order There are so many options to help complete your kitchen, we recommend outfitting your kitchen with cooking essentials that represent your cooking style. At Down To Earth our kitchen department is a destination place for beginners and “seasoned” cooks alike.